Martineau Gardens has a number of bee hives located in a secluded part of the woodland area. 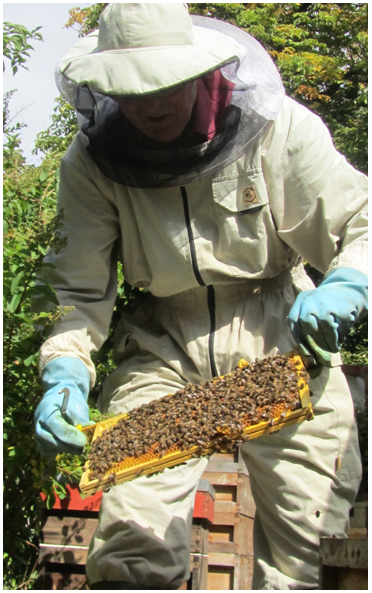 Our volunteer beekeepers tend the bees and their hives over the year. In September, our beekeepers extract the honey that the bees have produced and for a short time, we have delicious Martineau Gardens’ honey for sale (the profits of which are ploughed back into the charity). It’s available for a month or two, but customer demand is high and it soon sells out. At Martineau Gardens we welcome bees – bees help plants grow by transferring pollen between flowering plants and keep the cycle of life turning. Most of the plants we need for food require pollination, especially by bees. When you visit Martineau Gardens, you can visit the bee hives and our food growing areas and enjoy thinking about the relationship between these areas. 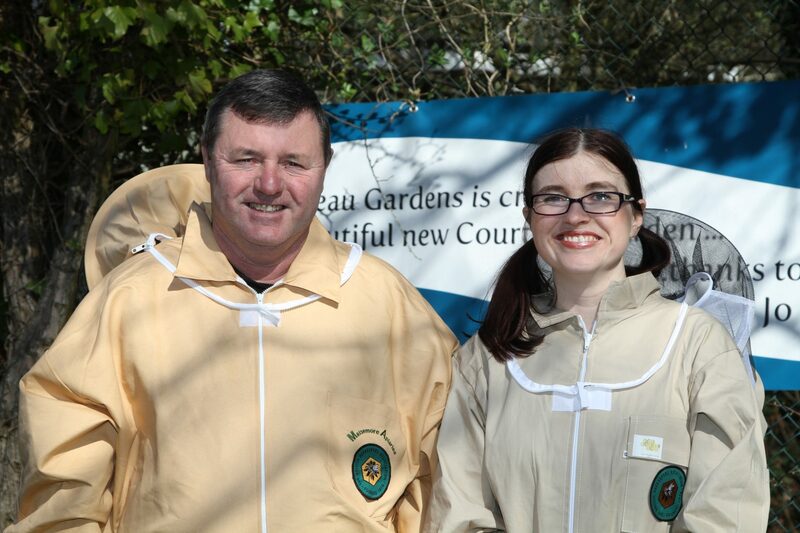 Pictured here, Ray Bowers and Sam Walker are our volunteer beekeepers. They have tended our bee hives since early 2018. They took over the role from John Gale, who was stepped down after many, many years. Where would we ‘bee’, without the bees? 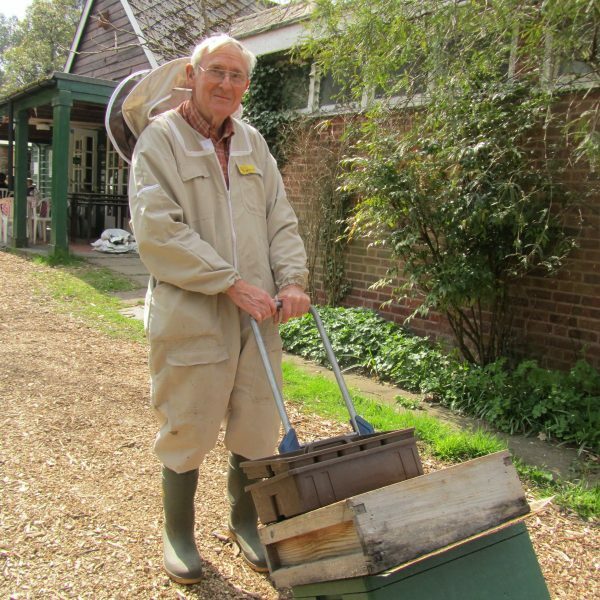 John Gale has championed bee keeping at Martineau Gardens since 2002, he began by taking over some abandoned hives which were in a poor state. Since then, John has introduced us all here at the Gardens to the world of bee keeping, creating a space for the bees to live, viewing areas for the public and setting up and running our popular Bee Keeping Taster Courses. In 2011 he brought the Birmingham Honey Show to the Gardens in 2011 and its been an annual event here ever since. 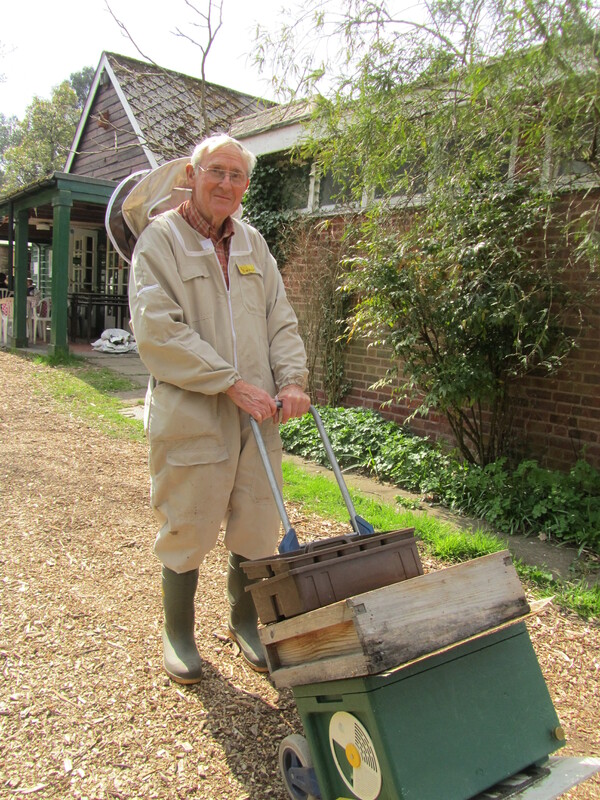 John is stepping down from his bee keeper role at Martineau Gardens but continues to volunteer here frequently. He has created and maintains our water harvesting system. Find out more about this project here. Our thanks to John for his huge contribution, from all of us here at Martineau Gardens.